On Monday and Tuesday 1st and 2nd April all the Junior Infant pupils made a trip to Supermacs in Moate to learn all about making pizzas. This was part of their procedural writing that they had been doing with their teachers. 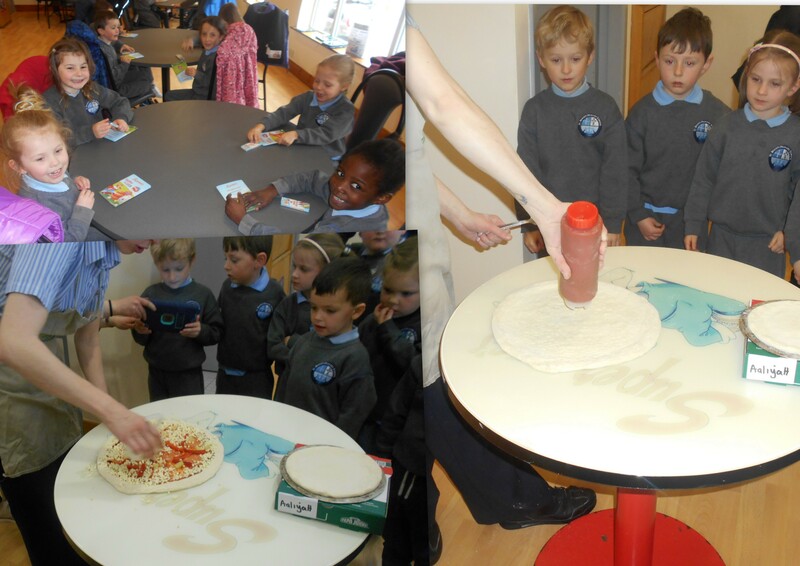 They all got to observe the steps in making a pizza and then got to make one with their own favourite toppings. 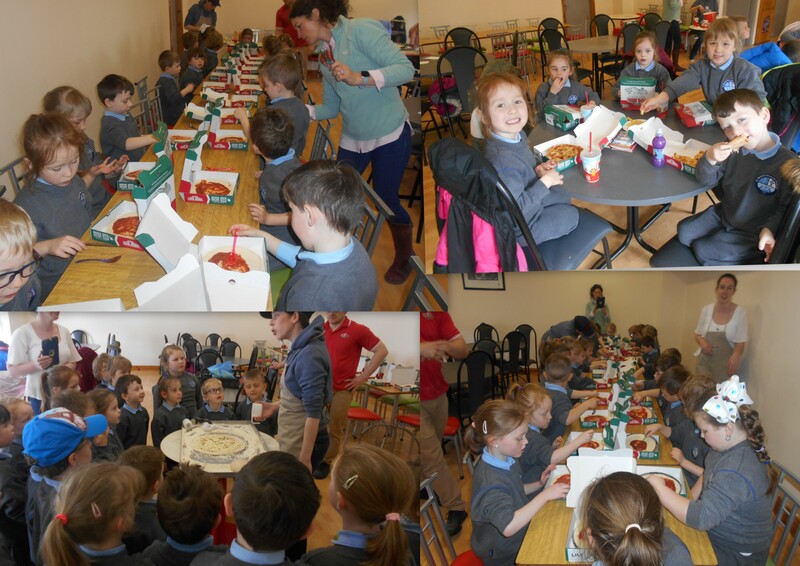 The pupils, teachers and SNA thoroughly enjoyed the experience and of course the pizzas!!! 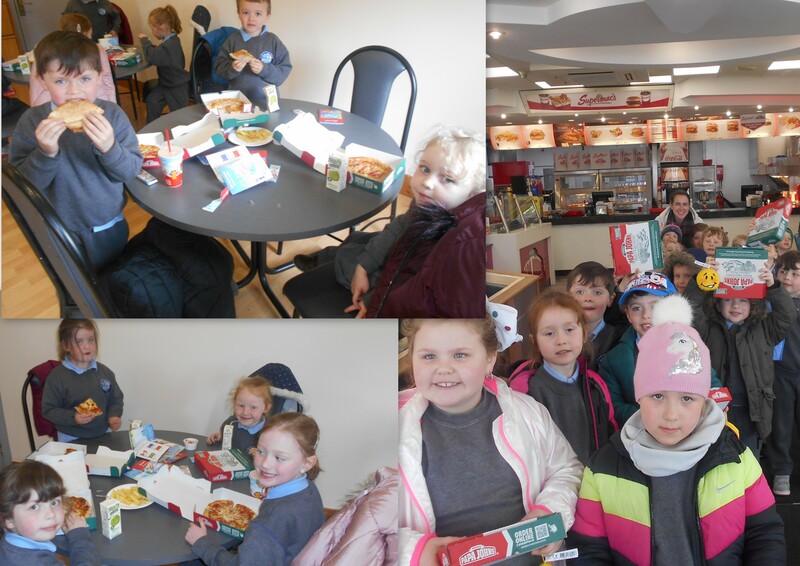 Big Thank You to the staff of Supermacs who did everything to make the experience as enjoyable and informative as possible.